Trofim Denisovich Lysenko (Russian: Трофи́м Дени́сович Лысе́нко) (September 29, 1898 – November 20, 1976) was a Soviet biologist who, during the 1930s, led a campaign of agricultural science, now known as Lysenkoism, which went explicitly against contemporary agricultural genetics and lasted until the mid-1960s in the USSR. Denoucing genetics as pseudo-science, his own science might properly fall into the same category. As head of the Academy of Agricultural Sciences of the Soviet Union he placed his science, such as it was, at the service of the Soviet state and was instrumental in purging and eliminating hundreds of scientists who refused to play the propaganda game demanded by the Soviet state that credited Lysenko with all manner of scientific discoveries. The Soviet media depicted him as the very embodiment of Soviet peasant genius, almost celebrating his comparative lack of genuine scientific training. Lysenko was finally discredited, but not after he had destroyed the careers of many scientists of promise. On a positive note, the excesses of his policy stimulated resistance to the ideological control of science towards the end-days of the USSR. His legacy best serves as a lesson in the moral bankruptcy of any regime that tries to control the intellectual life of its citizens. Lysenko was the son of Denis and Oksana Lysenko, a peasant family in the Ukraine. He attended the Kiev Agricultural Institute. In 1927, at the age of 29, while working at an experiment station in Azerbaijan he was credited by the Soviet newspaper Pravda with having discovered a method to fertilize fields without using fertilizers or minerals, and with having proved that a winter crop of peas could be grown in Azerbaijan, "turning the barren fields of the Transcaucasus green in winter, so that cattle will not perish from poor feeding, and the peasant Turk will live through the winter without trembling for tomorrow" (a typical peasant "miracle" of the early Soviet press). The winter crop of peas, however, failed in succeeding years. Lysenko speaking at the Kremlin in 1935. At the back (left to right) are Stanislav Kosior, Anastas Mikoyan, Andrei Andreev and the Soviet leader, Josef Stalin. Such would be the pattern of Lysenko's success with the Soviet media from 1927 until 1964—reportsof amazing (and impossible) successes, which would be replaced with claims of new successes once the old ones became failures. What mattered more to the press was that Lysenko was a "barefoot scientist"—an embodiment of the mythical Soviet peasant genius. Lysenko's "science" was practically nonexistent. When he had any theories, they were generally a mishmash of Lamarckism and various forms of Darwinism; the majority of Lysenko's work consisted of so-called "practical directions" for agriculture, such as cooling grain before it was planted. Lysenko's primary procedure was a mixture of "vernalization" (by which Lysenko generally meant anything he did to plant seeds and tubers) as well as hybridization. During one period, for example, he picked a spring wheat with a short "stage of vernalization" but a long "light stage," which he crossed with another variety of wheat with a long "stage of vernalization" and a short "light stage." He did not explain what was meant by these stages. Lysenko then concluded on the basis of his stage theory that he knew in advance that the cross would produce offspring that would ripen sooner and as such yield more than their parents, and thus did not have to test many plants through their generations. Though scientifically unsound on a number of levels, Lysenko's claims delighted Soviet journalists and agricultural officials, as they sped up laboratory work and cheapened it considerably. Lysenko was given his own journal, Vernalization, in 1935, with which he generally bragged about forthcoming successes. The Soviet press reported great successes from Lysenko's early initiatives, though in the end almost all would result in failure. However, what most caught the Soviet government's eye about Lysenko was his success at motivating peasants. Soviet agriculture was deeply damaged by the forced collectivization movement in the early 1930s, and many peasants were at best unenthusiastic and at worst prone to destroy their grain to keep it away from the Soviet government. 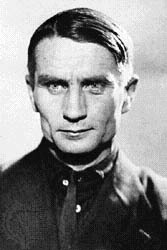 Lysenko energized the enthusiasm of the peasants, making them feel truly in control and participants in the great Soviet revolutionary experiment. By the late 1920s, the Soviet political bosses had given their support to Lysenko. Lysenko himself spent much time decrying academic scientists, particularly geneticists, claiming that their isolated laboratory work was not helping the Soviet people. In his personality, he was quick to anger and could tolerate no criticism. By 1929 the skeptics of Lysenko were politically censured for only being able to criticize rather than prescribe new solutions. In December 1929, Soviet leader Josef Stalin gave a famous speech elevating "practice" above "theory," elevating the judgment of the political bosses above that of the scientists and technical specialists. This gave them license to put ideological view above scientific research and even practical common sense. 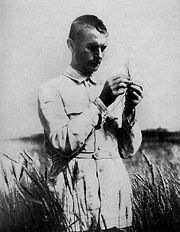 Though the Soviet government under Stalin gave much more support to genuine agricultural scientists in its early days, after 1935 the balance of power abruptly swung towards Lysenko and his followers. Lysenko was put in charge of the Academy of Agricultural Sciences of the Soviet Union and made responsible for ending the propagation of "harmful" ideas among Soviet scientists. Lysenko served this purpose faithfully, causing the expulsion, imprisonment, and death of hundreds of scientists and the demise of genetics (a previously flourishing field) throughout the Soviet Union. This period is known as Lysenkoism. He bears particular responsibility for the death of the prominent Soviet biologist, Nikolai Vavilov, the founder of Academy of Agricultural Sciences, at the hands of the People's Commisariat for Internal Affairs (NKVD). The Soviet press was soon filled with anti-Lysenkoite articles and appeals for the restoration of scientific methods to all fields of biology and agricultural science. Lysenko was removed from his post as director of the Institute of Genetics at the Academy of Sciences and restricted to an experimental farm in Moscow's Lenin Hills (the Institute itself was soon dissolved). After the dismissal of Khrushchev in 1964, the president of the Academy of Sciences declared that Lysenko's immunity to criticism had officially ended, and an expert commission was sent to Lysenko's experimental farm. A few months later, a devastating critique became public and Lysenko's reputation was completely destroyed in the Soviet Union, though it would continue to have effect in China for many years. The official cabinet of T. D. Lysenko was located on a second floor of the Biological Institute of the USSR Academy of Sciences, still located in Moscow on Leninskiy prospect, 33. His room was right above the room where Lina Stern worked. Almost all famous Russian biologists worked in this building, and most of them became Lysenko's victims sooner or later, including Nikolai Vavilov. Lysenko was visiting his office right up to his death. On the other side of the doorway he had a private toilet (as a privilege of being a director, a common practice in Russia). When he was stripped of his privileges, the toilet was also taken away by a new director; to Lysenko's enormous chagrin, it was converted to a public one for women. The ruins of his large experimental greenhouses can be still seen (2005) on the back grounds of the institute. Lysenko died in 1976. Lysenko's scientific training was comparatively modest. The temptation to claim greater scientific achievement than he was entitled to may have been encouraged by the state controlled media. Soviet propaganda was anxious to promote the idea of the phenomenal abilities of Soviet peasants. Unfortunately, Lysenko was happy to indulge the state by aligning his science with Soviet ideology. He aided and abetted Stalin's policy of elevating the judgment of the political bosses above that of the scientists and technical specialists to the detriment of Soviet science. Instead of agricultural research helping to feed the nation, research failed to improve the state's ability to feed its people. His legacy serves best as a warning that science flourishes best in a climate of intellectual freedom and can suffer when those with little or no moral values enjoy almost unlimited influence. ↑ Andrei Sakharov Retrieved January 23, 2008. All links retrieved August 23, 2014. "Could We Ever Have Dreamed of Such a Great Honor? Letter from Academician T. D. Lysenko's Parents to Comrade Stalin" Pravda, January 3, 1936. Sally Ryan, T. D. Lysenko Reference Archive (marxists.org). "Report by Lysenko to the Lenin Academy of Agricultural Sciences, 1948" Soviet Biology. Sally Ryan, T. D. Lysenko Reference Archive (marxists.org). "New Developments in the Science of Biological Species" Foreign Languages Publishing House, 1951, First Published: Agrobiologia, 1950, No. 6. Dominque Lecourt. "Proletarian Science? The Case of Lysenko" Atlantic Highlands, Humanities Press, London. This page was last modified on 23 August 2014, at 17:23.